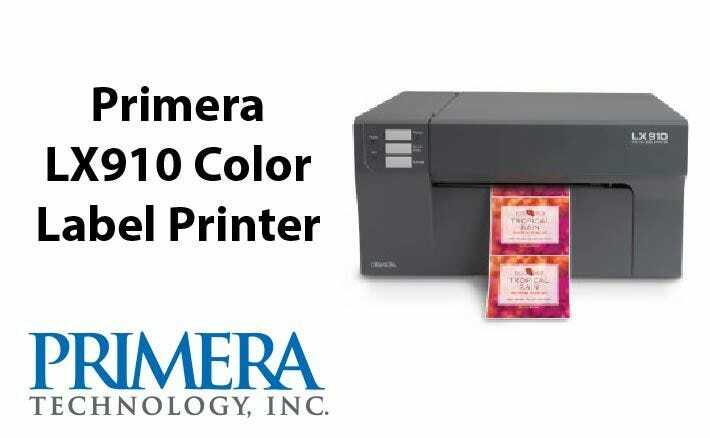 LX910 Color Label Printer | Label Printers & Digital Presses | Primera Technology, Inc.
LX910 is Primera's newest and highest quality color label printer. Joining at the nexus of versatility and simplicity, its single cartridge solution for both pigment and dye allows users to print for a wider variety of applications while easing print operations. Printed labels can include photos, graphics, illustrations, and text - even high-resolution or two-dimensional barcodes. 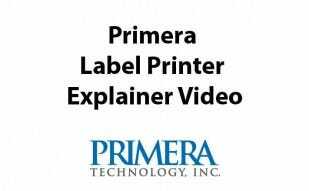 Print labels when and where you need them in just the quantities you can actually use. Built-in print head with every cartridge - no more pricey replacements! 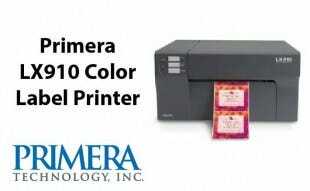 Color Matching: ICC color profiles for all Primera-supplied media. Ability to add custom ICC color profiles for other media types. Bartender Ultralite software for Windows, non-perforated 4”X6” Tuffcoat™ Premium Gloss Inkjet Label Stock starter roll & ultra-high yield CMY dye ink cartridge. Bartender Ultralite software for Windows, non-perforated 4”X6” Tuffcoat™ Premium Gloss Paper Inkjet Label Stock starter roll & ultra-high yield CMY dye ink cartridge. To update already installed software open Primera PrintHub. 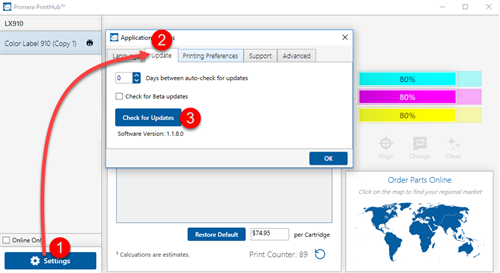 Click on the blue “Settings” button in the lower left corner of PrintHub. Choose the “Update” tab. Click on the “Check for Updates” button.